Thank you for your interest in enrolling in the therapeutic riding program at Flying Manes Therapeutic Riding. This page includes information on the application process and the application form below. Before beginning the online application please be sure to have scans/pictures of the completed medical history and physician’s statement, and, if applicable, PT and/or OT evaluations, IEP, and/or mental health data form to upload with your application. Before completing the form below please be sure to be ready to upload a scan of the prospective participant's completed medical history/physician's statement and, if applicable, physical therapy report, occupational therapy report, mental health data form, and/or IEP. 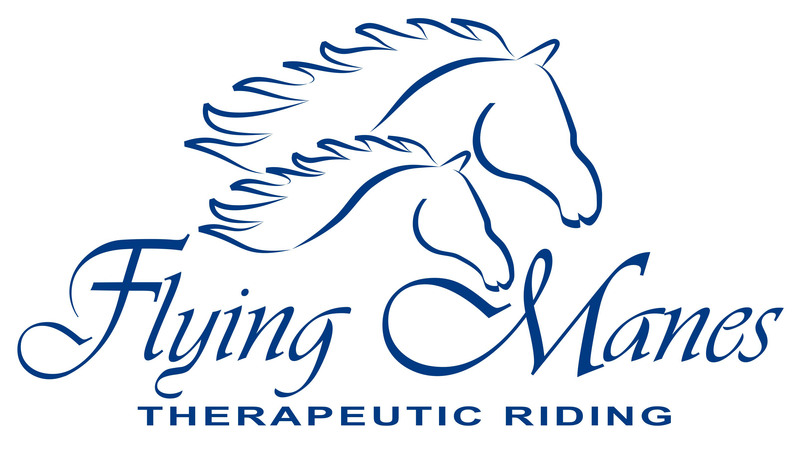 would like to participate in the Flying Manes Therapeutic Riding, Inc. Program. I acknowledge the risks and potential for risks of horseback riding and related equine activities, including grievous bodily harm. However, I feel that the possible benefits to myself/my child/my ward are greater than the risk assumed. I hereby, intending to be legally bound for myself, my heirs and assigns, executors, and administrators, waive and release forever all claims against Flying Manes Therapeutic Riding, Inc., its Board of Directors, Instructors, Therapists, Aides, Volunteers, and/or Employees for any and all injuries, losses and/or costs I/my child/my ward may sustain while participating in the Program from causes including but not limited to the negligence of these released parties or any acts of third parties. The undersigned acknowledges that he/she has read this Registration and Release Form in its entirety; that he/she understands the terms of this release and has signed this release voluntarily and with full knowledge of the effects thereof. If applicant is under 18 years of age, parent/guardian signature is required. I have read the letter to prospective Flying Manes Therapeutic Riding participants, parents, and/or teachers. I understand the importance of administering an intake assessment for new participants. I give permission for the below named individual to be tested by Flying Manes Therapeutic Riding, Inc. If participant is under 18 years of age, parent/guardian signature is required. the use and reproduction of any and all photographs and other audiovisual materials taken of me/participant by Flying Manes Therapeutic Riding, Inc. for promotional printed material, educational activities, exhibitions, or for any other use for the benefit of the program. This form was emailed to you together with the link to this online application page. The form was emailed to you together with the link to this online application page. In the event that emergency medical aid/treatment is required due to illness or injury during the process of receiving services, or while being on the property of the host facility (Riverdale Stables at 6351 Broadway, Bronx, NY 10471), I authorize FLYING MANES THERAPEUTIC RIDING, INC. to: 1. Secure and retain medical treatment and transportation, if needed. 2. Release participant records upon request to the authorized individual or agency involved in the medical emergency treatment. This authorization includes x-ray, surgery, hospitalization, medication and any treatment procedure deemed “life saving” by the physician. This provision will only be invoked if the emergency contact listed cannot be reached. It is helpful for the staff at Flying Manes Therapeutic Riding to know a participant's background, goals, and interests, and understand his or her current status prior to developing a objectives and goals. Please respond to the following questions. This form was emailed to you together with the link to this online application page. Alternatively please email the PT form to info@flyingmanes.org. Alternatively please email a recent PT report to info@flyingmanes.org. This form was emailed to you together with the link to this online application page. Alternatively please email the OT form to info@flyingmanes.org. Alternatively please email a recent OT report to info@flyingmanes.org. Alternatively please email the current IEP to info@flyingmanes.org. If nonverbal, how are important messages (bathroom break, hunger, thirst, pain, fear) communicated? Are there any special considerations we should be aware of (health, precautions, medications, etc)? Do you have any other suggestions or comments for us?